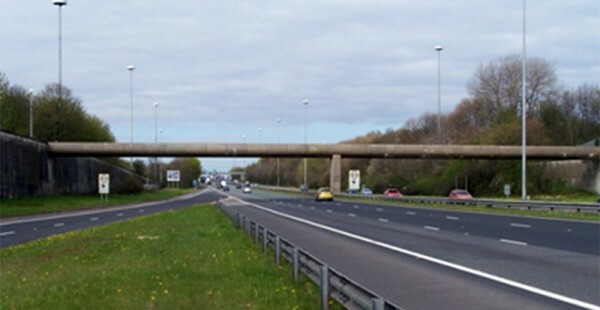 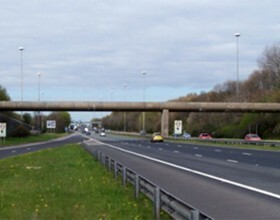 Greystone Footbridge, known locally as the ‘sausage bridge’, has helped generations of the local community to safely cross the M62 since opening in 1973. 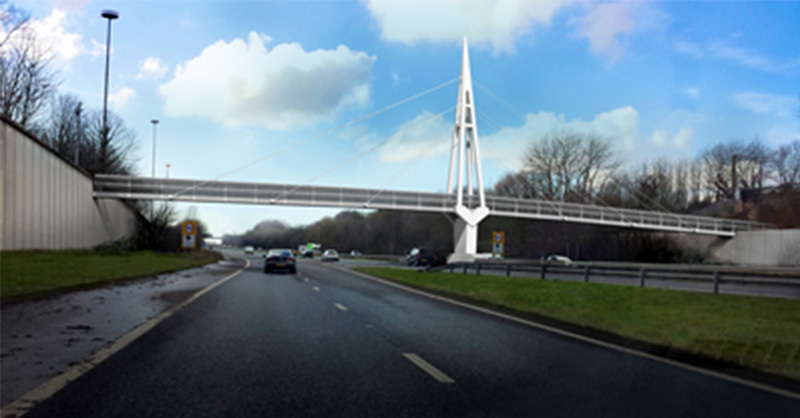 The footbridge has now reached the end of it serviceable life and Knowsley Council is investing in a new modern replacement bridge that will cater for both cyclists and pedestrians. 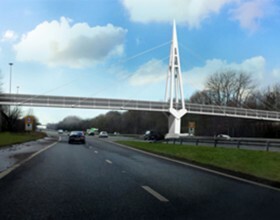 Cllr Mike Murphy, Knowsley’s Cabinet Member for Regeneration and Economic Development said: “This project is a significant investment into the boroughs infrastructure and while there will be some disruption to local residents and motorway drivers, we hope the careful planning and preparation will help to keep this to a minimum. 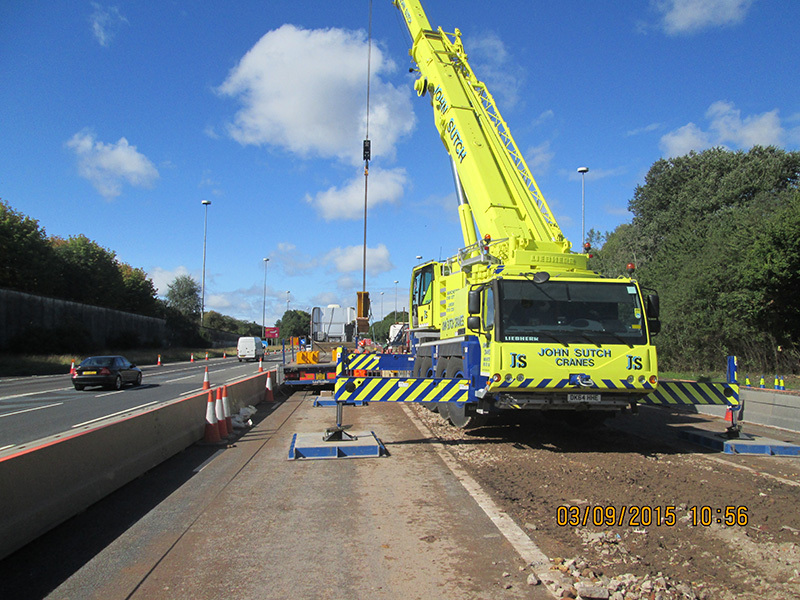 Eric Wright Civil Engineering were commissioned by Knowsley Council to demolish the existing bridge and construct the new bridge designed by Mouchel. 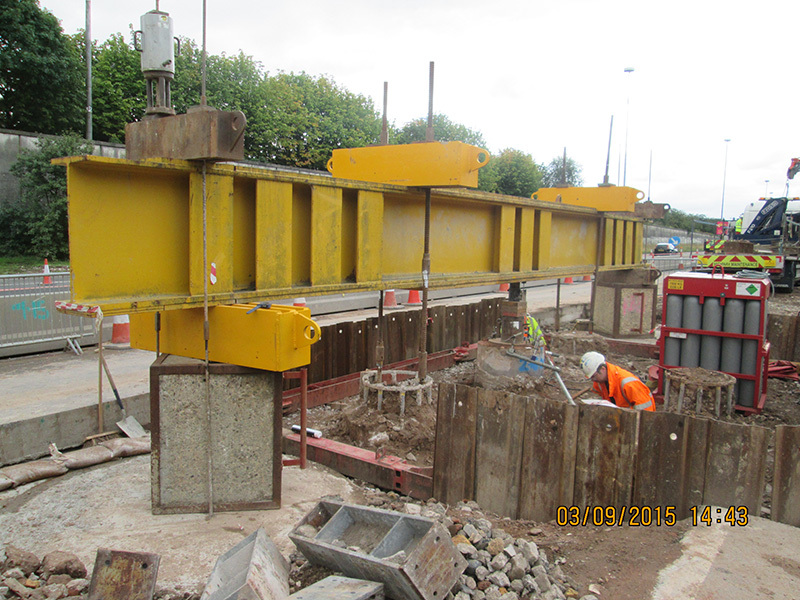 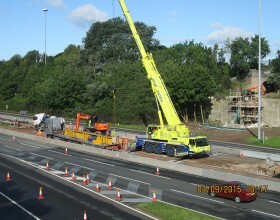 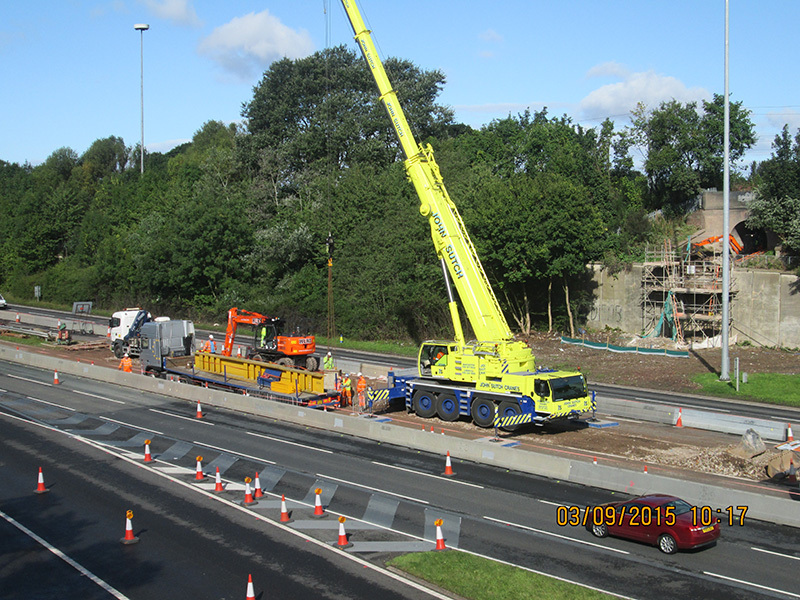 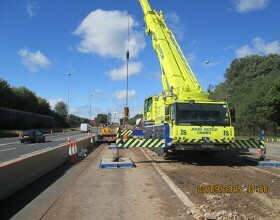 Following demolition of the bridge PaSCoE were initially commissioned to undertake the design of a piling platform to enable the installation of 6No. 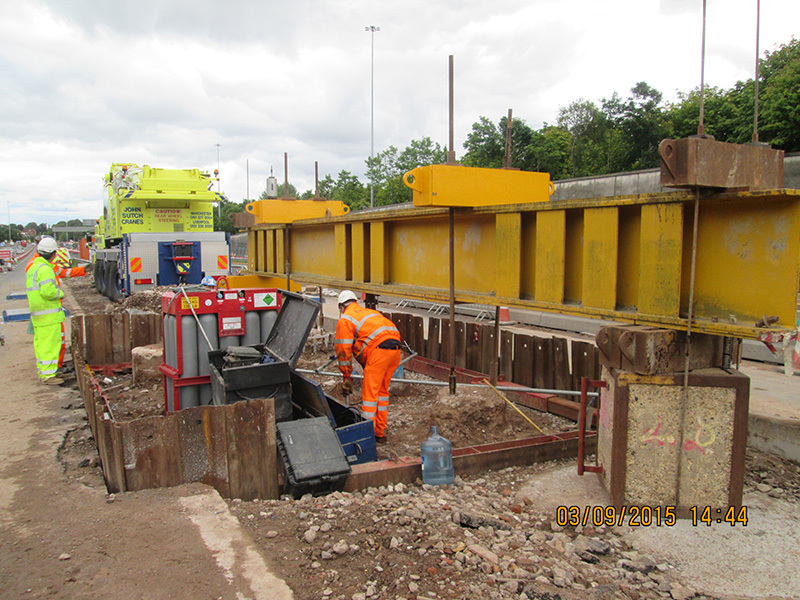 900mm dia piles required for the central pier support. Static Load Testing of a working pile was required and PaSCoE undertook an assessment of the working piles to ascertain whether these could be used as reaction piles acting in tension. 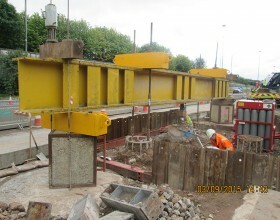 To provide additional resistance to the tension capacity of the piles PaSCoE designed the test rig arrangement with additional end kentledge to provide the required reaction load.